Over the past few weeks we have been discussing the various symbols used by Civil Air Patrol. 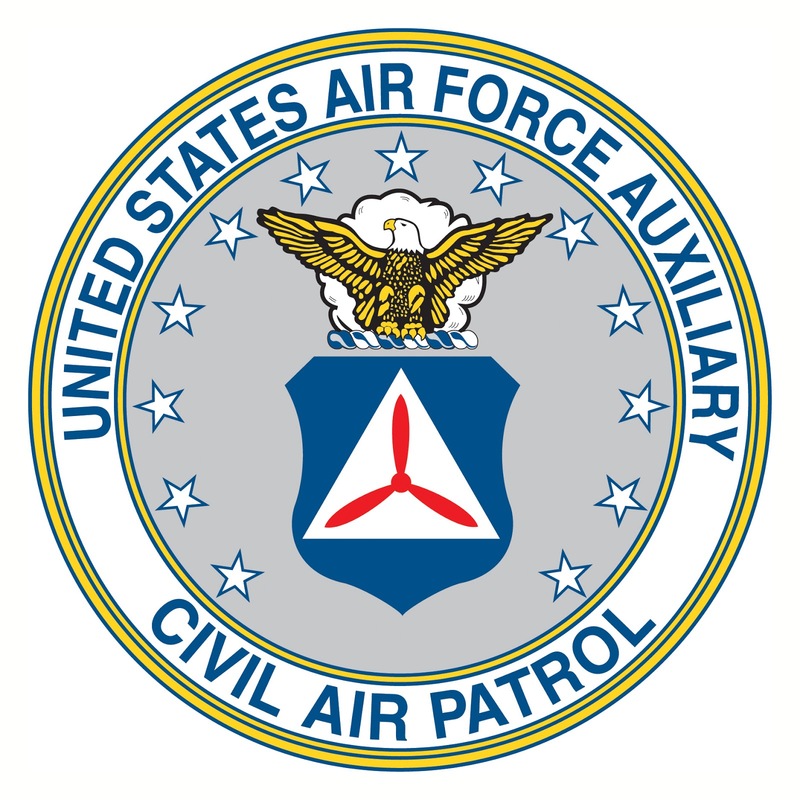 The last symbol currently in use by Civil Air Patrol is the logo. The logo was approved in 2012 by the CAP National Executive Committee and is generally used for used for advertising, marketing, recruiting and promotional purposes. The logo maintains the heritage and history of CAP's previous emblems with the use of the red propeller within a triangle, while also presenting a simple, clean and modern symbol representing CAP's future. 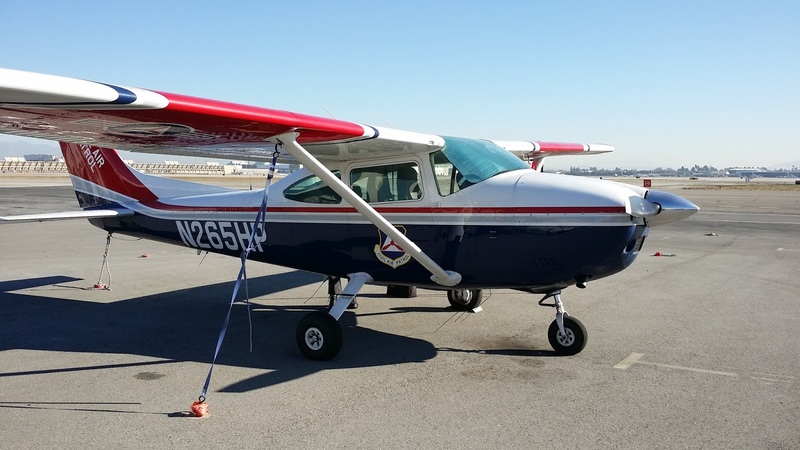 What Can You Do in Civil Air Patrol?| Fly Gliders! 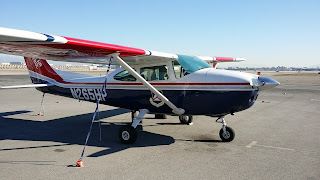 When I made the decision to join the Civil Air Patrol, one of the key factors in that decision was my love for aviation. While I am not a pilot (although becoming one is now on the "bucket list") I have always had a passion or aviation-so joining CAP seemed the natural choice. Since joining I have logged a few hours in a CAP plane, riding in the back seat as an aircrew member (mission scanner) and have enjoyed every minute of my flight time, while learning new skills that can help my community in times of need. It's a good deal, right? So, when the opportunity came up to ride in a CAP glider, I decided that it was time to take advantage of that opportunity! CAP Glider Training Squadron 41 shares our HQ at Los Alamitos JFTB (except that they meet every other Tuesday evening) and they have aerotow glider operations and winch-launched glider operations. I joined the members of Squadron 41 recently and this is a video from that day. My thanks to the members of Squadron 41 for the flights and for your work in training current and future glider pilots! 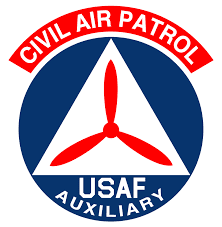 This is the Civil Air Patrol "Command Emblem." As you can see the CAP Command Emblem is similar in appearance to the Major Command emblems used by the US Air Force. 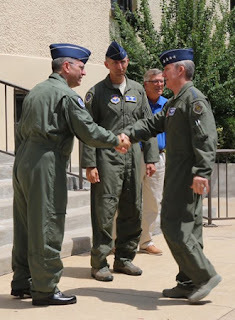 In the photo below you can see CAP-USAF Commander Col. Michael Tyynismaa (in the middle) wearing the command patch of the Air Education and Training Command (of which CAP-USAF was a part of until recently (it has now transitioned over to the 1st Air Force under Air Combat Command) on his flight suit. (1) Corporate aircraft (as prescribed by CAPR 66-1 and any other directive as issued). (2) The doors of corporate–owned vehicles (as prescribed by CAPR 77-1). (3) The doors of member–owned vehicles (as prescribed by CAPR 77-1) used for CAP business upon written approval of the wing or region commander as appropriate. Such approval will be granted only where its use would reflect favorably upon CAP. (4) CAP-owned equipment (base station radios, handheld radios, DF equipment, etc.) as prescribed by CAPR 174-1 and any other directive as issued. Just as in the Air Force, the Command Emblem is also used on CAP Flight Duty Uniforms. In the picture below you can see Capt. 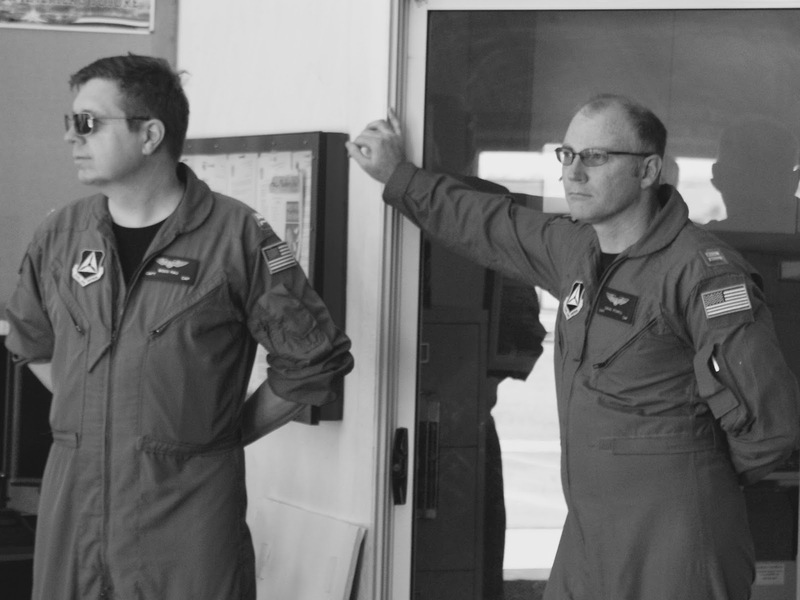 Bodo Rau (L) and squadron commander Capt. David Powell (R) wearing the CAP Command Emblem on their flight uniforms. 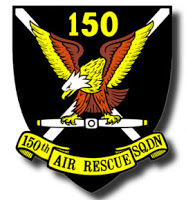 The previous version of the Command Emblem is shown below, and has been phased out of use for several years now. And the (now retired) CAP Emblem (below) was found on vehicles and CAP equipment. While no longer in use, CAP still controls the rights to the use of the emblem and you may still see it on "heritage" uniform, apparel, and accessories. For more information on CAP Symbols please review the latest version of CAPR 900-2. 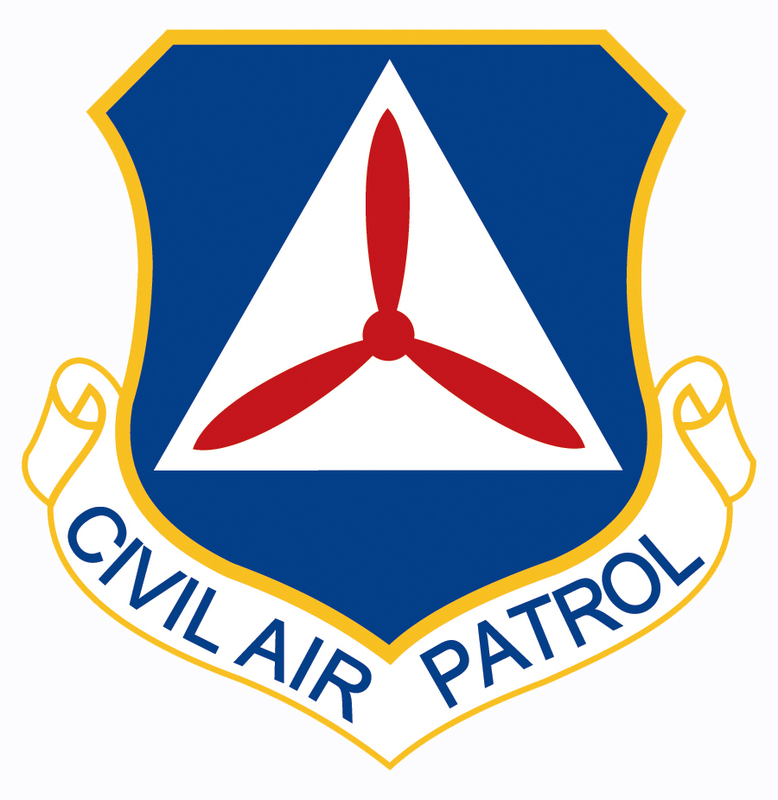 Civil Air Patrol has three main symbols-the Seal, Command Insignia and Logo. While all three symbols have different purposes and usages, they are all derived from the original CAP insignia which we discussed in Part One. The Civil Air Patrol seal is the legal seal of the organization and is most commonly found on official documents, letterhead and business cards when the use of the CAP Seal would be more appropriate than the CAP Logo (which we will discuss in a future post.) The CAP Seal is also used on the CAP blue polo shirt uniform. 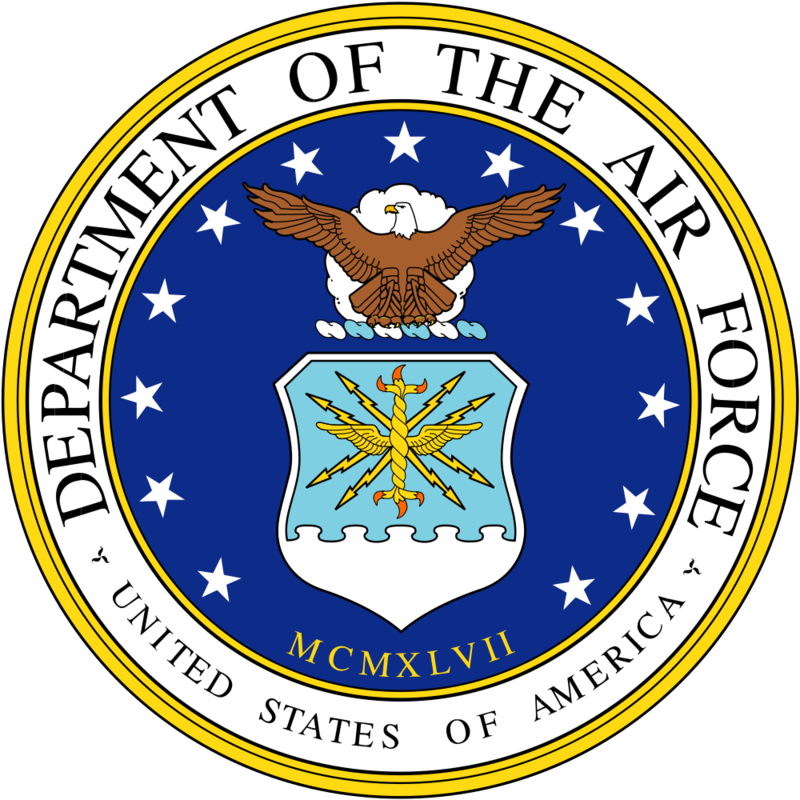 As you can see the Civil Air Patrol Seal (below) is derived from the Seal of the United States Air Force (bottom) and incorporates the CAP propeller in triangle first seen on the original CAP insignia. 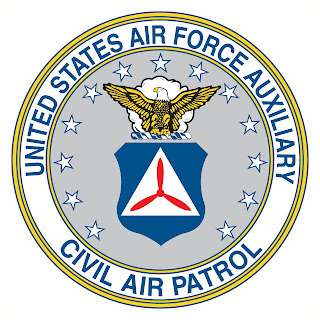 An earlier version of the Seal had the words "Civil Air Patrol" at the top of the circle and "Auxiliary United States Air Force" on the bottom-which was succeeded by the current seal in the early 1980's. (2) Shield. The CAP logo is superimposed on the shield. (3) Encircling Stars. The encircling 13 stars represent the original 13 colonies of the United States, and the three set apart at the top of the design portray the three departments within the Department of Defense —the Army, Navy and Air Force. CAP is proud of our connection with the US Air Force and to serve as it's Auxiliary! 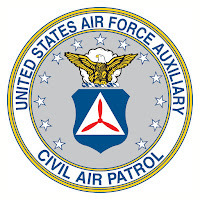 Did you know that in 2015 Civil Air Patrol was named a full member of the US Air Force Total Force when performing missions as the USAF Auxiliary? Next time we will discuss the Command Insignia most commonly worn on flight duty uniforms and found on CAP aircraft and vehicles and the Logo.